In the graduate directing program we emphasize a collaborative approach to theater within an interdisciplinary context. 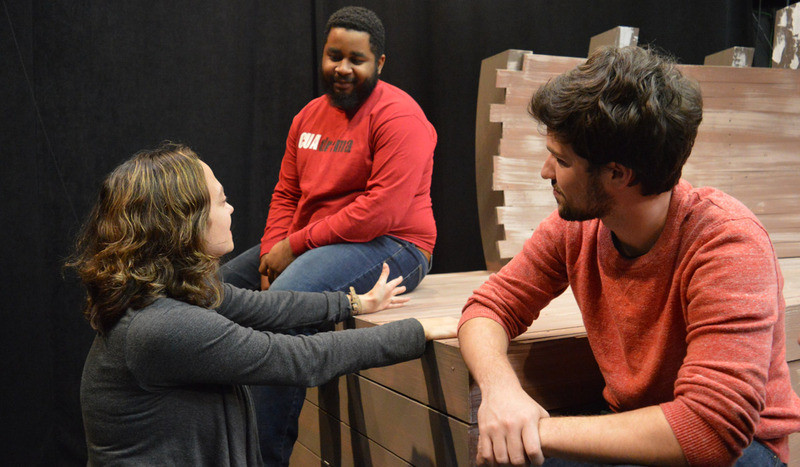 We strive to give directing students the ability to work across a wide variety of genres, with a distinct voice and passion, as thinking, caring, professional theater artists. Over the course of their three years of study at Catholic University, directing students will be challenged to evolve their dramatic imaginations. They will explore the role of the director as interpreter and auteur. They will learn about style, develop the ability to work with classical texts, engage in new play development, have exposure to non-western theatrical styles, participate in varying modes of play creation, explore the interaction between music and theater, confront issues of language and translation, engage in intercultural theater projects, explore scenography and develop their choreographic sense. They will be exposed to various modes of performance oriented theater including site-specific theater, performance poetry, collage, meta-theater, and forms of deconstruction. The Directing program will work to situate directing students in internships on the local, national and international level during their course of study in order to aid the transition into the profession upon their graduation.